Don't miss out! 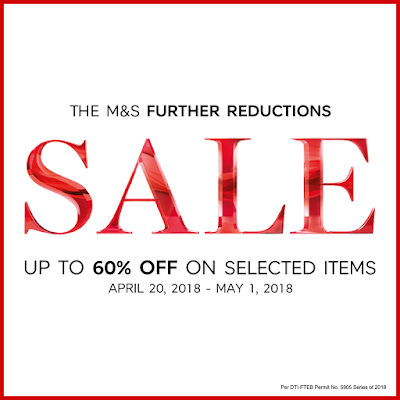 Marks & Spencer End of Season SALE has just gotten bigger, with up to 60% off! Plus, Loyalty Members get additional 10% off on sale items when you pay a minimum of 100 Loyalty Reward Points. 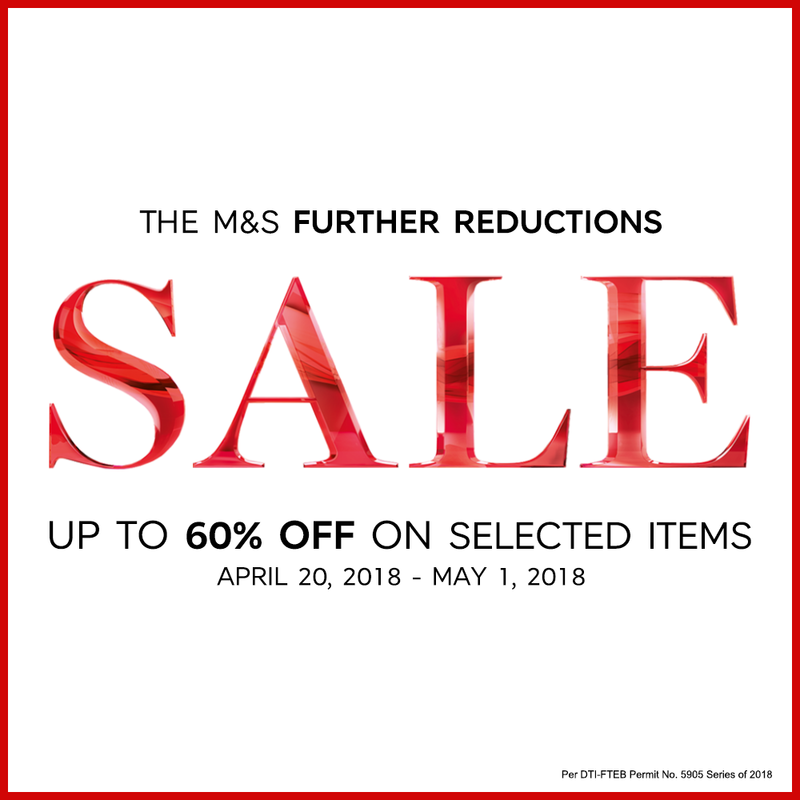 Head to your nearest M&S store until May 1, 2018.